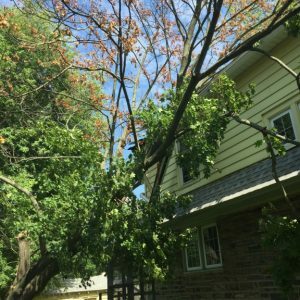 Mr. Tree is a full-service tree company in Delaware County. We also work in Chester and New Castle Counties. 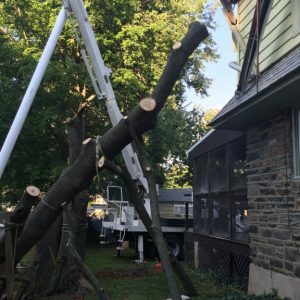 Our customers come to us for services like tree removal, lot clearing, tree trimming, and more. We offer free quotes, an experienced staff, and response to emergencies on a 24/7 basis. One of the methods we use to take down trees is removing the branches piece-by-piece. 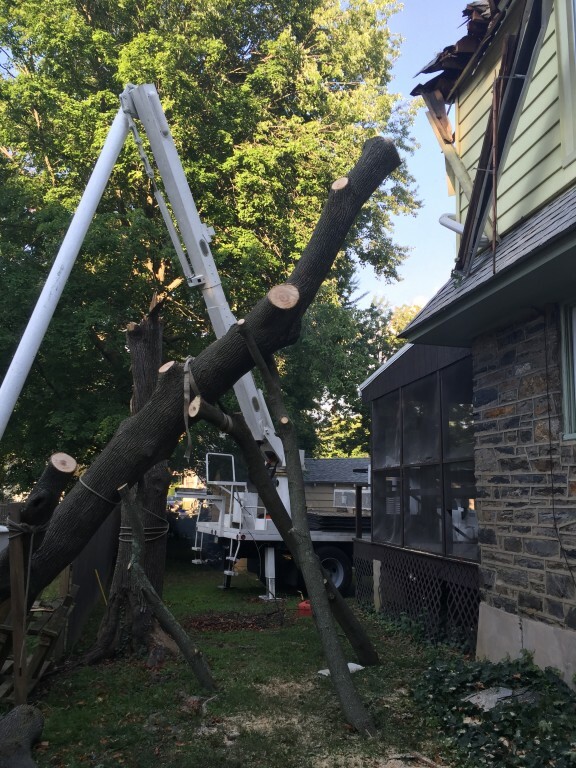 That’s what we did during this recent emergency tree removal job in Aldan. 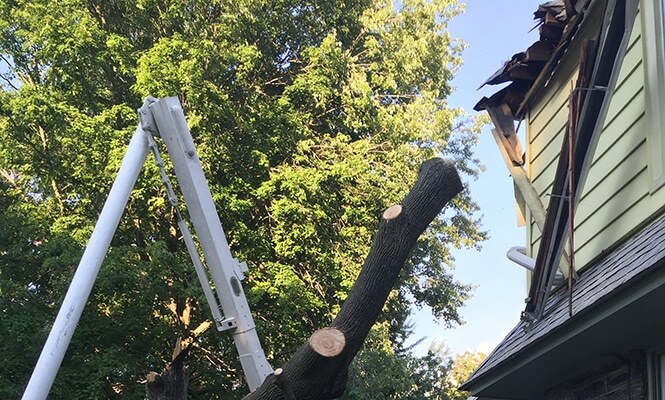 We used branches to support the truck of the tree, preventing damage to the house. Take a look at the photos below! 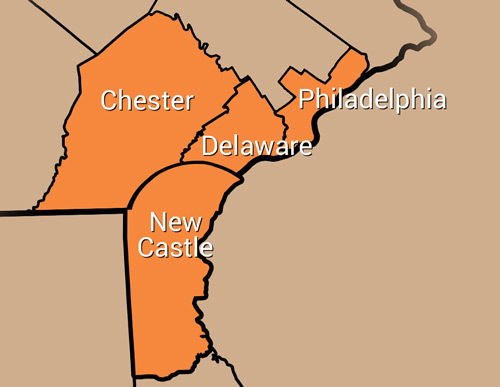 In addition to Aldan, we serve nearby towns including Folcroft, Upper Darby, and Darby. 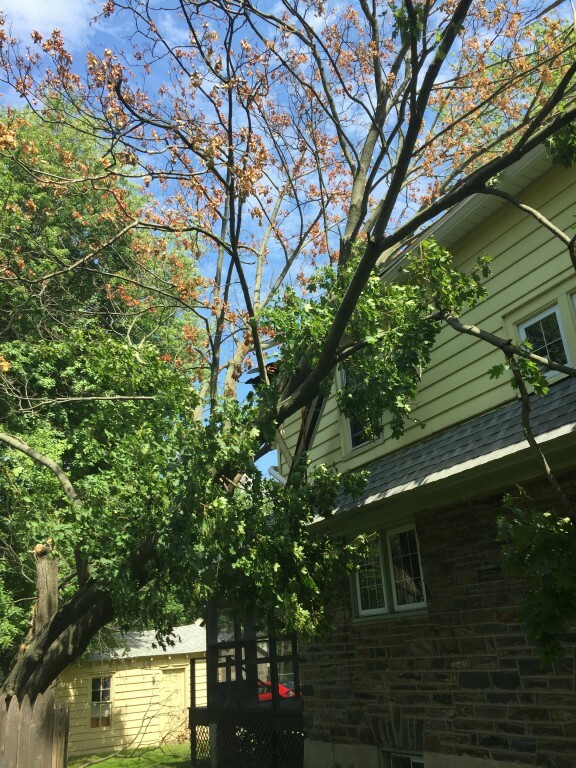 To hire Mr. Tree and get your free quote, fill out the form on this page or give us a call at (484) 999-0040.